What are Dental Inlays and Dental Onlays? Dental inlays and Dental Onlays are two methods of restoring your teeth’ structure after decay or other damaged has occurred. Dental inlays and Dental onlays are fillings made out of porcelain that are bonded to your natural tooth to fully repair the natural formation of your tooth. These restorations differ from regular white dental fillings because the dental inlays and dental onlays are made in our laboratory as one piece. Creating Your Dental Inlays and Dental Onlays: Our laboratory will create dental inlays or dental onlays using the exact measurements of the tooth needing restoration. Caring for Your Dental Inlays and Dental Onlays: Similarly to your natural teeth, you will need to take care of your dental inlays / dental onlays. Brushing, flossing, and regular dental visits are a must! Inlays and onlays are the same type of restoration, but they cover different areas of your tooth. A dental inlay goes around the rounded edges of your tooth, in the middle of surface of the tooh. A dental onlay is similar to an inlay but it covers your whole biting surface of the tooth. Dental onlays are sometimes called partial crowns because of their extensive coverage. Onlays are typically more durable and usually outlast dental fillings. Similarly to any restoration, onlays can weaken the structure of the tooth. Filling size and the material type that you choose can certainly play a role in determining the restoration duration. 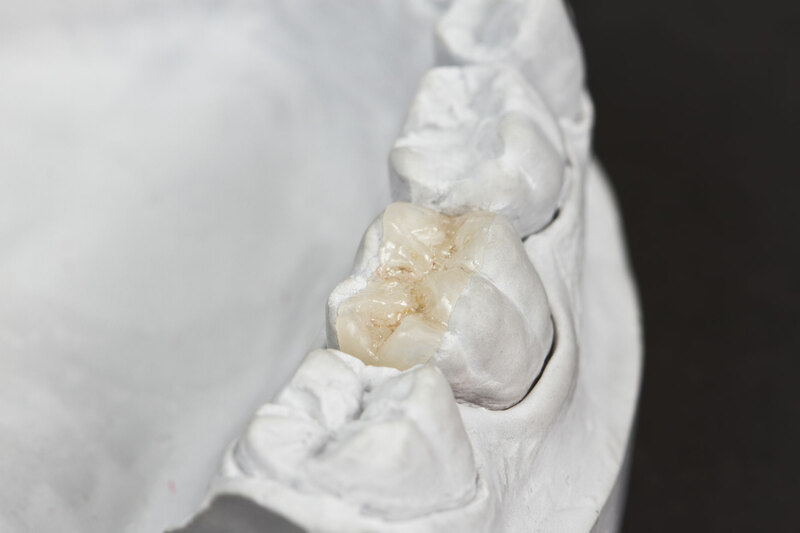 Dental onlays can be made from composite resin, gold, or porcelain. Dental onlays can last up to 30 years if you take care of them properly. You can preserve your onlays by practicing excellent oral hygiene: Brushing, flossing, and visiting the dentist regularly are keys to extending the life of your onlays. Make a dental appointment today at our Coral Gables office!